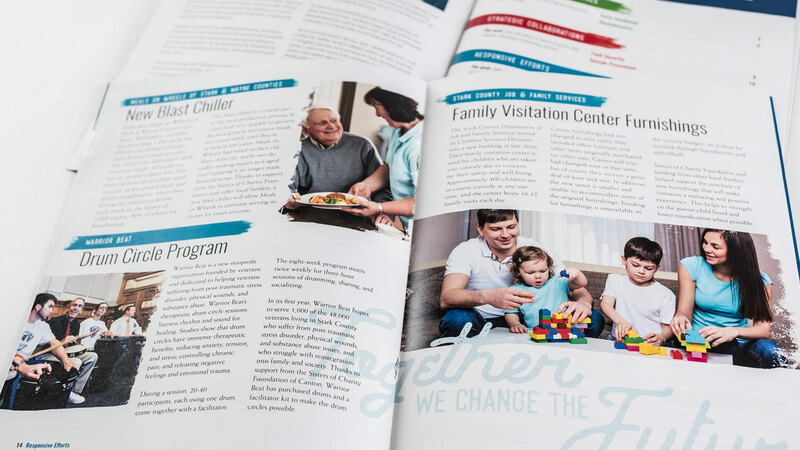 Sisters of Charity was looking for a new take on their annual report, something visually dynamic but still approachable so they wouldn’t turn people off. Cassel Bear took this opportunity to soften the look of the organization a little bit with some artistic flair. Throughout the entire report we added a handcrafted design motif. 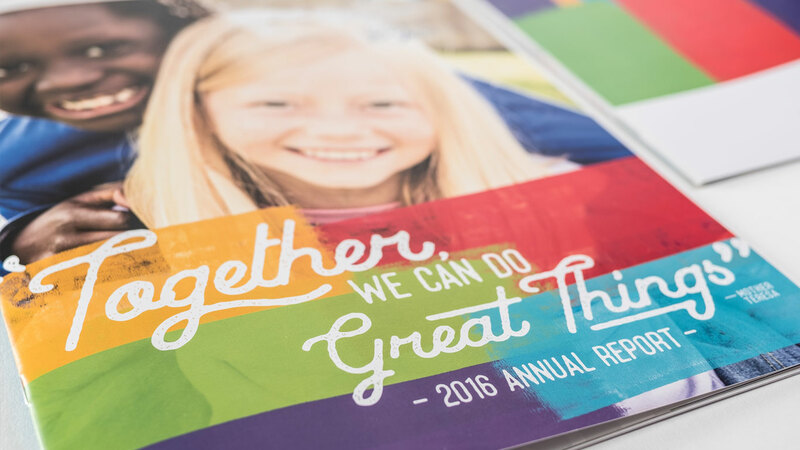 Between the aesthetic feel of the piece and the imagery, we wanted to embody the warmth and generosity of the organization while highlighting the incredible things that it does for the community.